Imagine that you live on a picturesque communal garden square, an oasis in urban London where your children run free, in and out of other people’s houses. You’ve known your neighbors for years and you trust them. Implicitly. You think your children are safe. But are they really?On a midsummer night, as a festive neighborhood party is taking place, preteen Pip discovers her thirteen-year-old sister Grace lying unconscious and bloody in a hidden corner of a lush rose garden. What really happened to her? And who is responsible? Well, another Target club pick. I enjoy reading these simply because they add a bit of diversity from the genres I normallly read. I gave this book a 3.5 perhaps more due to personal preferences rather than the actual quality of the book. While I did enjoy it, it just wasn’t for me. I didn’t feel as if I gained anything from it, if that makes sense. 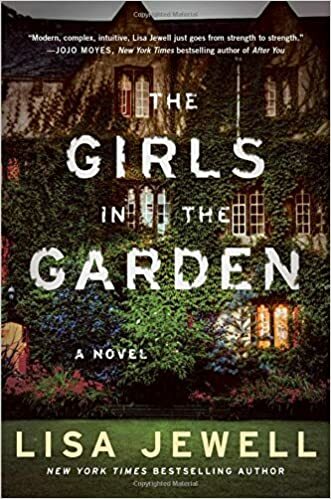 Which is not to say that you won’t, because I can definitely see how mystery/crime readers might love The Girls in the Garden. The novel is set mostly in a neighborhood in central London that shares a communal park as their backyard. The setting alone was fascinating–I can see how children growing up in this environment develop tendencies towards posessiveness or leadership, seeing as the park basically becomes their turf. The group of children who hang out are continually referenced as the “gang”, which I find very fitting and fascinating within itself. The competitive nature of their “friendship” is almost feral, and definitely territorial. Seeing how the children of different ages and parenting practices interacted was truly interesting. I loved this aspect of the novel. Another part I really enjoyed was the POV. It was told third person by several characters in the novel, including one of the younger children. This was confusing at first because there are so many families with different children-parent relationships, but I eventually learned who everyone was. It was a bit of a setback at first, though. Anyway, I particularly enjoyed Pip’s, the child’s, perspective. It was an acknowledgement, for one, that children are not stupid. It reveals how parents try to be discreet, and ultimately fail. Pip was an example of how kids as young as ten can pick up subtle signals put out by adults–they piece things together in very accurate ways. The theme of a lack of innocence among children was definitely built upon in this novel. I don’t want to spoil the end, but I can say that the development of this idea was extremely insightful and fascinating (sorry, this might be the fifth time I’ve said that word). And damn, part of that is the mouths on those kids. They swore up a storm, even in front of their parents. That being said, the children were definitely my favorite characters in the story. While the parents were pretty well fleshed-out, I found depth in most of the kids that is startingly accurate to what I have felt/observed at some point in my life. I am impressed by the way Jewell was able to capture their naivety and intelligence and synthesize these traits into distinctive characters. The tone created by the events was actually quite eerie. I loved the atmosphere of dark secrets hiding just beneath the neatly-trimmed lawn of the park. The setting gave me a twisted-Wonderland vibe–it was almost surreal, but at the same time frighteningly realistic to what actually happens behind parents’ backs. I seriously fell in love with this warped version of a nice London neighborhood. So while the actual subject matter and setting of this novel was 10/10 for me, unfortunately the execution brings it down to 3.5 stars. The writing wasn’t bad, but it could have been better. There was an attempt at an almost gritty writing style that just appeared as a lack of eloquence to me. The buildup to the “incident” was lovely, but everything that happened after (aka the revelation of events) was extremely anticlimatic. I wanted there to be a huge, now-obvious answer to the puzzle, but the truth was rather mundane. I suppose this may have been Jewell’s intention, but I was disappointed all the same. Others may enjoy the slow way in which each aspect of the crime happened is revealed, but I found myself making connections too quickly, which kind of spoiled the fun. I’m aware that this paragraph may be very confusing for people who haven’t experienced this when reading a mystery, so I apologize for that. Overall, the ideas fleshed out by this book were extremely interesting. I loved exploring the psyche of the kids and their parents. The family/ neighbor dynamics described were extremely true to life, from the jealousy to the camraderie. I was impressed by the verisimilitude of the emotions fostered by the setting. The actual development of the story itself was a bit lacking. I really wish it had been written with a bit more gusto and suspense. Please don’t let my review discourage you though–the book is definitely worth a try if the description sounded even remotely interesting to you.